Finance West has chosen to recommend Vertex Credit Solutions ("Vertex") as an option to assist clients in both understanding their current credit situation and to provide advice to help improve the clients credit. We have worked with Vertex since 2015 and have found them to be extremely knowledgeable and highly ethical, which fits perfectly with our philosophy of helping our clients achieve their credit goals. The fact Vertex does not work for any creditors or trustees means the advice is not biased and they can represent the best interest of the client. 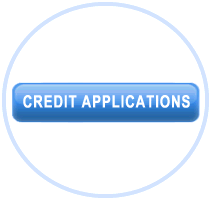 Finance West and Vertex Credit Solutions have no business affiliation and there is no financial compensation of any kind between Finance West and Vertex Credit Solutions, our recommendation is solely based on our experience and the feedback we have received from clients who have used their services. If you are in a position where you are unsure of how to deal with your debt situation are contemplating filing for bankruptcy, consumer proposal or trying to deal with debt you seem to be unable to reduce, you can contact Vertex and see if they may be the right partner to help you reach a solution. Finance West in no way whatsoever guarantees working with Vertex will result in an improved credit score. The advice and information provided by Vertex is individual to each client and those conversations are private and confidential and do not represent Finance West. Existing Dealers Login to our portal here.